Buying a New Kitchen Countertop? There’s a good reason why stainless steel is used in most of the restaurants across the country: it’s virtually indestructible. Homeowners can also enjoy all of the benefits that come with Stainless Steel Countertops along with some great additional options. Not only are stainless steel counters beautiful to look at but they are resistant to water, heat, stains and just about anything else. 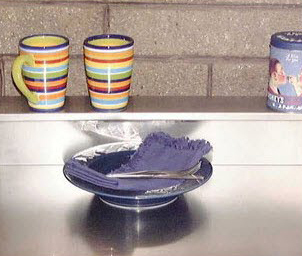 Stainless steel has a non-porous surface, which means that liquids can’t penetrate into the material. Enjoy a hygienic surface for preparing meals while practicing your regular cleaning habits with just mild cleaners. Clean Your Counters with Ease and Just a Damp Cloth. 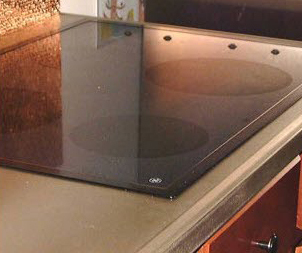 Frigo countertops are made with our Exclusive Matte Finish that Looks Great in Any Light. 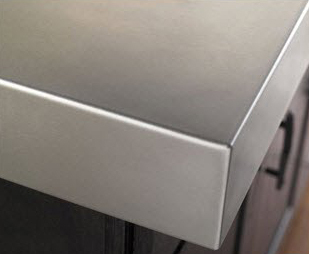 The Matte Finish also allows us to integrate any Undermount Stainless Steel Sink right into the Counter so it looks like it was all made from one piece of stainless. 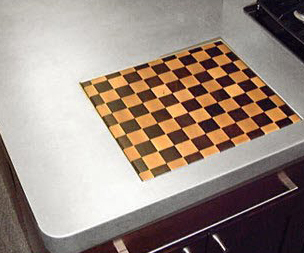 Unlike laminate, stainless steel is not prone to burns and will never peel. 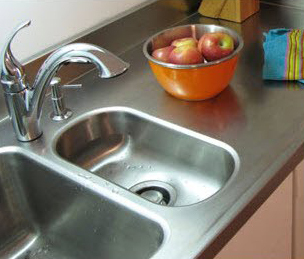 Unlike most stone, granite and concrete, stainless stelss never needs to be sealed to avoid stains. Unlike solid surfacing, stainless steel won’t burn if you set a hot pot on it. 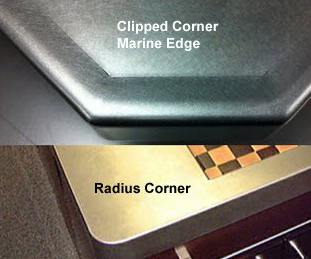 Unlike marble, stainless steel is not susceptible to staining and will never chip. 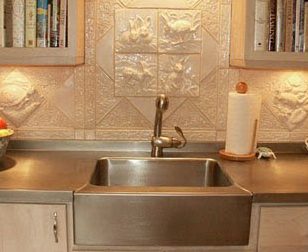 Unlike tile, stainless steel provides a smooth even work surface and has no grout. 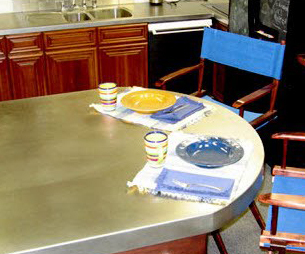 Unlike soapstone, stainless steel will never need polishing with oil and will never crack. 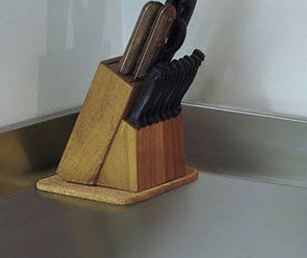 Unlike butcher block, stainless steel will not harbor bacteria or require disinfecting. 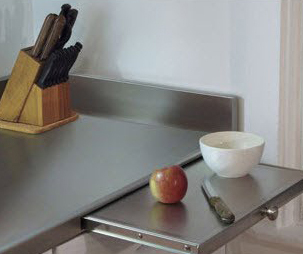 Frigo Design has been manufacturing and shipping stainless steel countertops all across the world for over 25 years. Every countertop is custom built specifically to fit your dimensions and is packaged in a custom built crate in preparation for shipment to your door. We ensure each countertop is carefully designed, crafted, inspected and warranted to be free from defects in material and/or workmanship. Most importantly, our customer service team is here every step of the way working with you to make sure your entire transaction is handled smoothly and professionally. 1. Let us know your zip code, so we can estimate your shipping costs. 2. Use our counter calculator below to plugin your estimated countertop size. 3. Once you've got a good idea of what you'd like, email us or give us a call. There is no charge to receive a quote and get all of your questions answered. 4. If you decide you'd like to order, we will complete your design and move into production. We will then manufacture and ship it to you in the agreed upon time frame and ready to easy installation onto your existing cabinets. 5. The whole process once designed takes 3-4 weeks, but if you need it quicker, just let us know and we will work with you. Use our simple online form to get an initial estimate and we'll contact you for details and more information. Just give us the description of your desired project with as much detail as you can provide and one of our representatives will get back to you with any questions and a quote. No obligation! © 2018 Frigo Design. All Rights Reserved.